Answer me these salsas three. 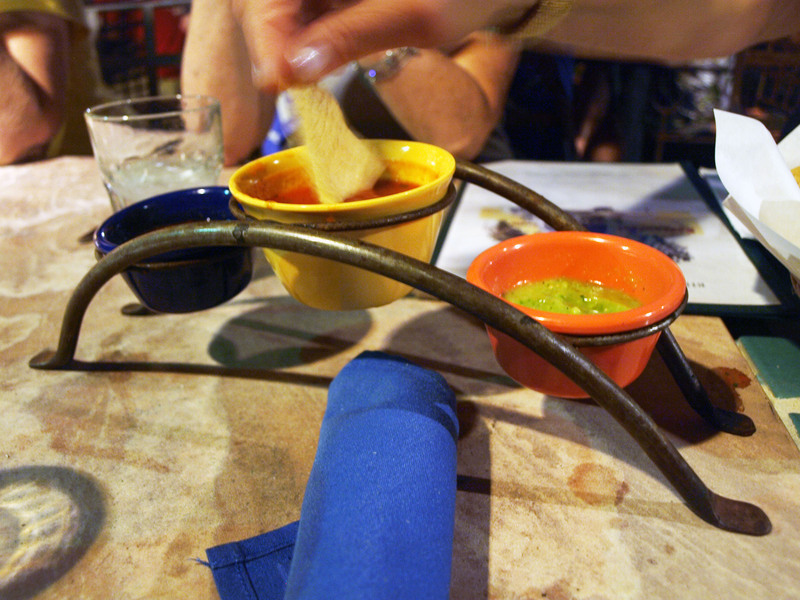 We started out with chips and salsa, like you would expect at any reputable Mexican restaurant. The chips were hearty and crunchy, while the salsas (yep, there were three of them) all matched different tastes. My least favorite was the mild one, but I’m sure people with poor taste buds would be quite happy with it. Then it was on to the main course. Putting the “fun” back in fundido. Ordinarily, I would order my own thing, but I got roped into splitting the four dishes we will be serving with the three of my parents that were there. Fortunately, one of those things was the dish I would have ordered on my own. 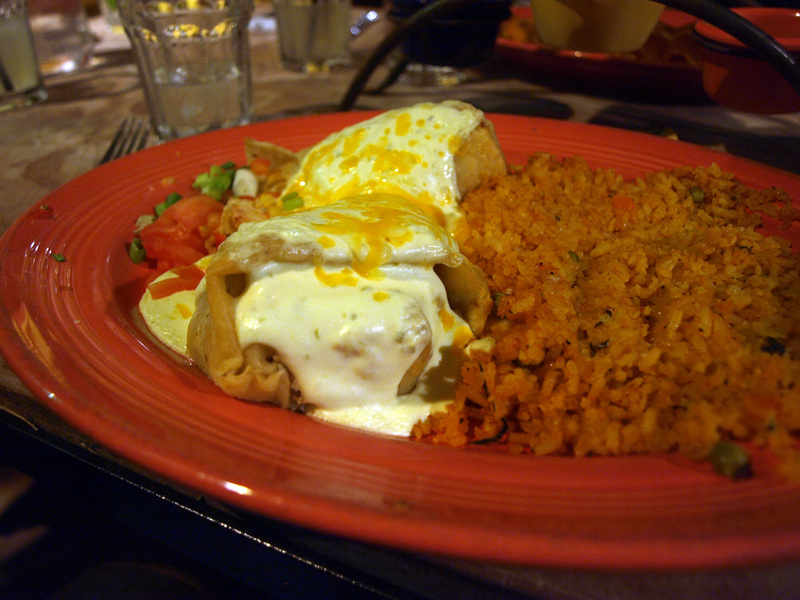 It was the Pollo Fundido, which consists of chicken breast blended with spices, onions and peppers in a tortilla topped with a jalapeno cream cheese and cheddar cheese. In other words, aside from the onions and peppers it sounded like a dream. And when it came, it was a dream. There was not a pepper or onion to be found, and I know I didn’t order it that way because I was sharing it. What can I really say about a chicken tortilla topped with spicy cream cheese other than it was amazing? I can’t, so I won’t. 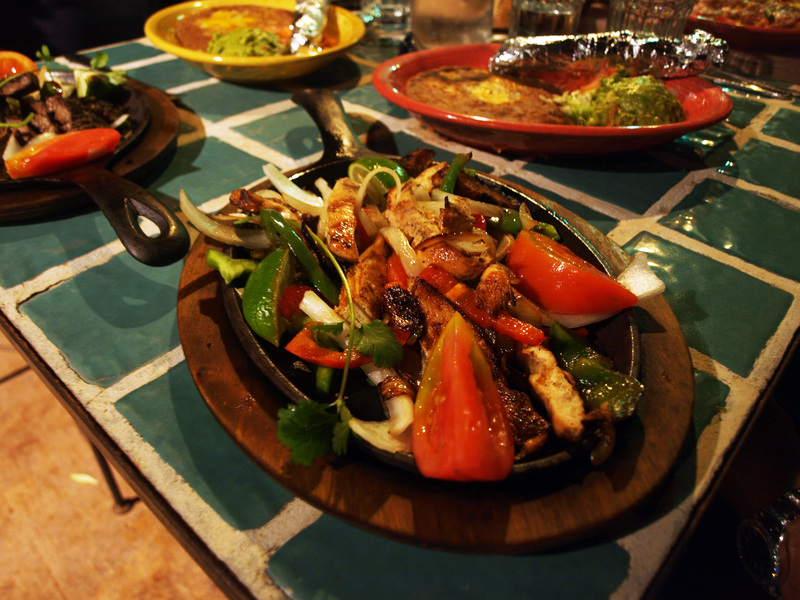 These fajitas sure are shiny. The other three dishes were the cheese enchiladas (for those vegetarians), steak fajitas and chicken fajitas. Without question, these were all tasty, but they were also exactly what I expected them to taste like. If you can’t get those things right, your restaurant is going to have a lot of problems. 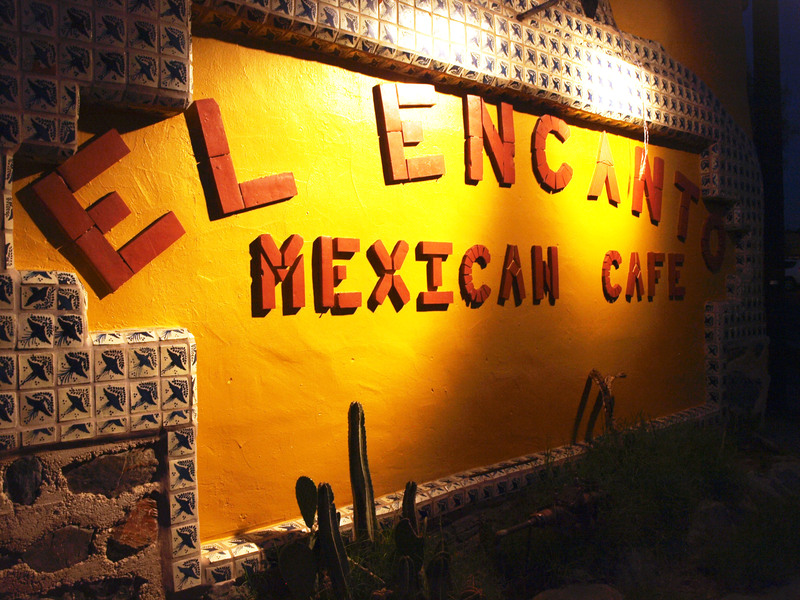 Fortunately El Encanto didn’t have those problems and those foods left me satisfied, if not blown away like I was for the Pollo Fundido. 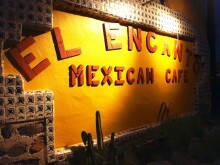 I can’t wait to get back to El Encanto and revisit that awesome chicken and cream cheese monster. Plus, I’m sure it will taste even better when eaten amidst such a celebration.